Help desk, training, resources and application support for KRA and ELA. Click or tap to get help. Help desk, training, resources and application support for Roster Verification LINK. Click or tap to get help. Information on E-Rate filing for FY2019-20, events and workshops, and resources library that includes instructions for completing forms. Submit online data release and get access to FAFSA student completion data. Available for traditional districts and community schools. 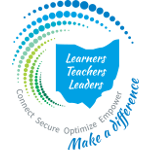 Awards from Oct-Nov 2018 for buildings connected to the Ohio K12 Network. Next application open in October 2019. Submit school board's or governing body's certified resolution for administering paper testing for grade 3 beginning in school year 2019-2020. Data collection for districts that anticipate testing more than 1% of their students using Alternate Assessment for Students with Significant Cognitive Disabilities. Data collection for restraint and seclusion incidents reporting at the building level for districts or community schools. Public commenting on learning standards and model curriculum as part of Ohio's standards review and updating. Public commenting on career-technical education standards as part of Ohio's standards review and updating.